Hannah McCrary is the daughter of my friend Elizabeth McCrary, Development Coordinator of the JDRF Palmetto chapter in South Carolina. Elizabeth is one of the most passionate, energetic diabetes advocates I know, and she has been an inspiration and source of support for many families throughout the state. I recently spoke with Hannah about her life with Type 1 diabetes and her experience at a Riding On Insulin camp. AM: Tell me your diagnosis story. How old were you when you were diagnosed, and how do you manage your diabetes? HM: I was diagnosed in August 2008 when I was 7 years old. It was a very strange time, as I was just starting school again and didn’t really know any other kids with Type 1 diabetes. I started out on shots and manual blood sugar checks but have been using a Medtronic pump since 2009, and I started on the Dexcom CGM late last year. 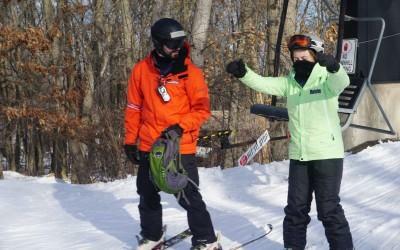 AM: How did you hear about Riding On Insulin (a nonprofit group that hosts ski and snowboard camps for children with Type 1 diabetes)? HM: I first heard about Riding On Insulin while volunteering at the No More Diabetes Foundation’s “Drive For a Cure” golf tournament in September 2015. I heard the camp’s Development Director, Michelle Alswager, share her story about her son Jesse and Riding On Insulin. I spent the entire day with her, and we became friends. She told me all about the camps and invited me to come to Wisconsin sometime. AM: Had you ever skied before? If not, what were the challenges? And what did it feel like? HM: No, I’d never skied before. The challenges were being cold all the time, keeping balanced, and learning how to slow down and stop on the skis and how to not eat it (fall) getting off the chairlift. The challenges with my diabetes were keeping my blood sugar in range with the extreme cold and the adrenaline rush, and having a cold on top of all of that. Skiing felt like sliding in your socks on the hardwood floor. Since I fell a lot, it also felt cold, hard, and icy. AM: Did you catch the skiing bug? Will you ski again? HM: Yes, I did, and in fact, my dad and I are going to West Virginia to ski in about two weeks. This is all because of the awesome coaches at Riding On Insulin who had an amazing amount of patience to teach a novice like me. They were also a huge help with my diabetes management because they are all living with Type 1 diabetes as well. AM: How is a Riding On Insulin camp different than a more typical diabetes summer camp? HM: The first difference for me was that I flew to Wisconsin, and it was my first time flying alone. As far as the camp itself goes, Riding On Insulin camps only last for one day and focus on one activity. Also, we stayed at a resort instead of a campground like a typical diabetes summer camp. AM: What are the benefits of participating in a program like this one? HM: Finding a community that understands more of what’s happening with your diabetes than your actual family. It’s inspiring and reassuring to see elite coaches who have Type 1 diabetes who are killing it on the mountain and in life. I think it shows kids how to not change their way of life drastically because of diabetes — changes have to be made, but those of us with diabetes don’t have to give up sports and other activities due to fear of [it interfering with] our blood sugars and diabetes management. It was said multiple times during the camp to not change for others’ approval; that if people were your real friends, they wouldn’t make you feel bad about your diabetes. That’s how this community provides encouragement and support. In closing, I’d like to give a huge thank you and shout out to Bob and Michele DiCarlo of the No More Diabetes Foundation for donating to the Riding On Insulin scholarship fund to make this trip possible for me and others living with Type 1 diabetes. To find out more about Riding On Insulin, visit the organization’s website. 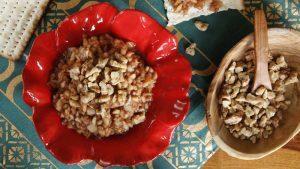 In a state of hypoglycemia, your brain might not recognize the danger you’re in. Bookmark DiabetesSelfManagement.com and tune in tomorrow to learn more about low blood sugar and your mind.